Dining at this restaurant with a wonderful view of Elizabeth Bay House will be a beautiful experience for customers. You will enjoy its food, especially mouthwatering cuttlefish, cheeseburgers and fried prawns. The Fish Shop has good salted caramel ice cream, caramel ice cream and cream caramel listed on the menu. Delicious wine, beer or martinis are worth trying here. Don't miss the opportunity to order great coffee. This place with takeaway food is suitable for those guests who like to have supper on the go. Many visitors have noticed that the staff is accommodating at this spot. People mention that the service is fabulous here. Attractive prices at this restaurant are good news for its clients. You will definitely appreciate the charming atmosphere and modern decor. 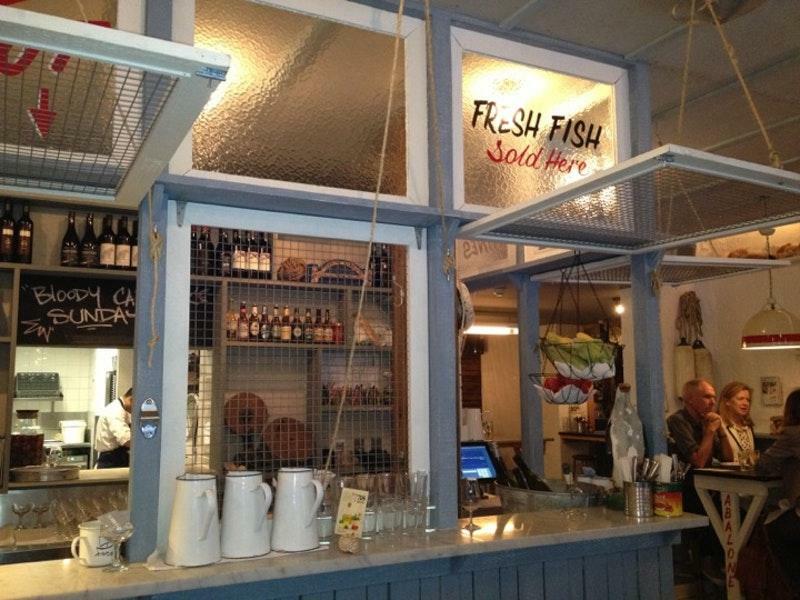 The Fish Shop started attracting its customers due to the Zomato rating of 4.3. Came here for lunch on a rainy Saturday afternoon and tried out their fish burgers and flash fried swimmer school prawns. Both were very lovely and would 100% recommend! The only down side to our experience was a very loud & drunkenly obnoxious group (they were one of only 3 tables seated) who talked so loudly and made such a display of everything they were doing, it was hard to hear our own conversation or keep a line of thought going. It would have been good if this could be managed a little better by the restaurant or at least recommended a seat further away & more sound resilient from them. Overall I would come back to try more of the menu, but I would be weary of where I sit. We made a reservation as it was Saturday, but on arrival there were plenty of tables available in this spacious, but busy restaurant.As befits the name of the place, the fish was excellent - my first (but by no means last) experience of the glorious barramundi!Friendly, helpful and prompt service. The atmosphere is very clean, 'fast-food', rather than top-end luxury, with seating to match, not exactly comfortable but perfectly adequate for half an hour's eating.The bill was very reasonable, we'd definitely return.